Yogareal – a dynamic practice with understanding and heart. Over the past 40 years Robert Byrne has developed a unique and transformative style of yoga unlike anything or anyone else’s. This cuts right to the chase while maintaining lightheartedness. Simple, clear, fun and practical. You’ll go into areas in yourself where you’ve never been before and that need addressing for you to be where you’d like to be in yourself and in your life. This will take you to a position of I AM or a sense of Self-presence in yourself. This is the ultimate goal of all practices – Self-realisation or realising Self relative to everything else that you do in your life. *All are welcome to drop into any course or class. *Book your Pass below, then you can book into any Course or Class above, and we look forward to seeing you at Yogareal! * NEW STUDENTS ONLY - Unlimited access to all courses / classes. *Concession prices available on our Purchase Page. Yoga is more than just a stretch class – it’s the way you view things, the way you live your life. Having a balanced approach. Living happily and harmoniously with yourself and others. Join countless students who have transformed their lives through practicing at Yogareal. The practice is as physically challenging as some other studios but the holistic approach adds a more transformative dynamic to the practice. The lessons are not routine, they tend to vary with the seasons and continually evolve to match the class standard, they can be both physically and emotionally challenging. Rob has taught me many things but the importance of breath and where it can take you once you can access its power is profoundly transformative. Rob and Theresa and the rest of the team at Yogareal have a magical way of supporting you on a journey that makes everything in your life better. The true process of yoga stills the thoughts in our mind. It’s a wonderful journey; being more present, feeling lighter and connected. To achieve this, you need a holistic practise and you need teachers who have spent years in their own yoga journey to help you learn how to do it yourself. This is the Yogareal studio. I have been practising here now for over 5 years and it’s really changed my life. 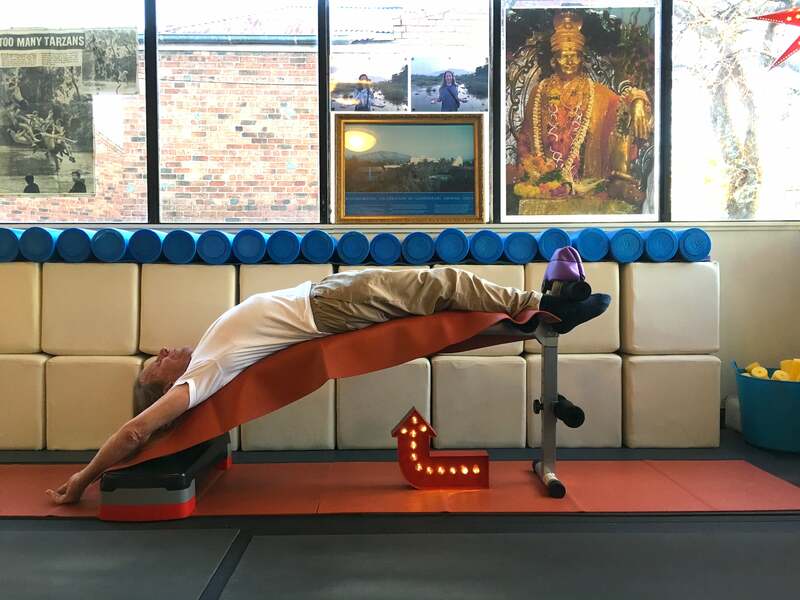 Rob’s method starts with body alignment, with easygoing stretch classes that use props and postures to help each of us understand our own physical body; what needs to open up more, what needs to strengthen. Classes are always filled with people of all shapes, sizes, ages and experience. Then comes the most important bit – the breath. Like a secret weapon, we learn how to breathe properly; a breath that energises, revitalises. It’s this breathing that’s given me so much insight. I can have space between my thoughts! I can let go of all this junk I’m carrying around! I can actually sit in peace! Boo ya! Rob’s teaching is the ultimate modern person’s guide to being more conscious, and you get to be stretchy and stronger as a bonus. The studio vibe is great. Accessible for beginners, plenty of deeper teachings on the 8 limbs of Yoga for those like me who want more. A great group of committed students doing the work. I couldn’t recommend Rob, the teachers and the Yogareal studio more highly. The classes allow you to experience all aspects of yoga; posture, breath and meditation and always leaving you feeling strong, resilient and reconnected with yourself. I highly recommend. Rob is very patient and a great teacher, feel wonderful when I have been to a class, I recommend them to all. It is a supportive community of people who care about nourishing themselves and others. Attending classes feels like rewarding myself and even after 14 years, I am still learning! This place is really one of a kind. YogaReal has been more than a yoga class for me. It has been a true sanctuary for my soul. Rob’s approach is accessible, relevant and wise. It has given me the strength and clarity to handle life’s inevitable drama and the peace to enjoy life’s simplicity and magic. I have attended YogaReal through two pregnancies and feel Theresa’s guidance and support through class really helped ensure two wonderful birth experiences. There aren’t enough words to express my gratitude to Rob and Theresa and I’m so thankful for each and every class. The practices all relate back to the original,guru Nityananda and his disciple Muktanananda who delivered yoga to the west. Following his passing his disciples took with them the teachings in many forms however I cannot speak more highly of this yoga studio and it’s teachers. 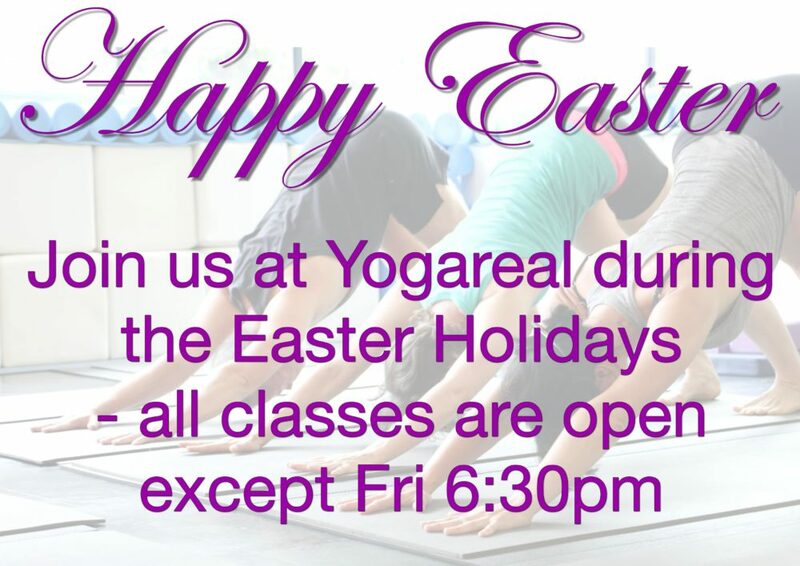 I highly recommend anyone who has any interest in yoga to come to the real deal. “A guru is not someone who holds the torch for you. He is the Torch” Sadhguru. Coming from India, I had been practicing Yoga on and off for nearly a decade without really understanding the true meaning of Yoga up until a year ago. I had all the knowledge and the resources to know that Yoga is not just exercise but a lifestyle. But to experience what I only knew by intellect, happened at YOGAREAL. It is said, when the student is ready, the teacher will appear. Just one month into my classes, I knew Rob was the guru I had been searching for all this time. The environment, the people and the energy of Yogareal is nurturing, supportive and phenomenal. This place is not for someone who wants to work only on their body, but for those who want to go beyond the body and mind and take charge of their life energies through the various asanas (Yoga Postures). I cannot thank Rob, Theresa and their entire team enough for what they have to offer. You have to experience it to know it!! I’ve been going to YogaReal for 3 years now after searching in the area for a studio that had a great balance of a strong physical practice with focus on precision with depth. They have 8 week beginner courses that are suitable for all levels and give a good base for the range of postures they cover in the more intense practices. I love it here, easily the best yoga studio I have found, the teachings have depth and you just feel great walking into the studio and of course after the class! It’s been 6 years since I posted this review. The heart and practice in the studio is still unlike any I’ve experienced. Although I don’t live in the area, I come back to visit when I’m in Melbourne. They accompany you through the openings you need before moving to the more challenging poses. Enjoy. I have practiced yoga for some years now & more recently moved to bayside. I was searching for my yoga home and found it here at Yogareal! Robert is the most amazing & knowledgable yoga teacher one could ever hope for. His presence ability & 40 years of knowledge & experience in all areas of yoga is phenomenal. I am in awe of his teachings and feel incredibly grateful that I have found this studio. There is nothing that Robert can’t explain to us in simple & easy words & is reachable to all ages. His sense of humour and yet gentleness & understanding of where people are at is far & above others in this field. I strongly urge anyone from children to any age to come along & experience what other studios don’t touch on. You will learn to breathe here & become more present. Breath, meditation, asana, relaxation, postures & every aspect of yoga are all taught here by Robert, Theresa & his wonderful staff. It is a welcoming family. I’ve been doing yoga under the expert guidance of Rob and his teachers at Yogareal for 11 years. I knew from the first few classes that I would be a regular until I was incapable of going. I slept so well after each class and felt so much better in my body and mind I didn’t need any further convincing of the obvious advantages. · the flexibility in my shoulders helped me recover quickly from surgery – and impressed the physiotherapist. I’m so glad I found yoga at Yogareal – the benefits are far greater than I could have guessed/imagined. I have been practising with Robert Byrne since 1992 – 26 years. On a personal level, through continually working with the body and breath, I have been able to fully recover from painful arthritis in the knees attributable to the faith, persistence and healing energy around Yogareal. It is always an authentic yoga experience at Yogareal and it helps one to maintain clear vision in all the layers of our being and in the environment around us. For over a year, YogaReal has succeeded to ground me in times of stress, strengthened and balanced my body; but most importantly to me, helped to reflect on life. How to live with a calm, open mind and have a better understanding of others and our own behaviours. These talks provided at the start of each class are something that I can always relate to and walk away from with thoughts in a new light. Every member that attends YogaReal makes me feel comfortable and free, smiling throughout the classes even if some positions get difficult! The team at YogaReal are honest, friendly and truthful in their practice, they always make me feel welcomed each time I step into the room. To Rob and the team at YogaReal, I cannot thank you enough for the strength you give me, the things you teach me and the true kindness you share each day with so many. Both he and his partner Theresa are wholeheartedly committed to helping you transform the areas of yourself that are restricted to become open and free. With the opportunity to become part of an uplifting team of happy, grounded people it is easy to slot right in. 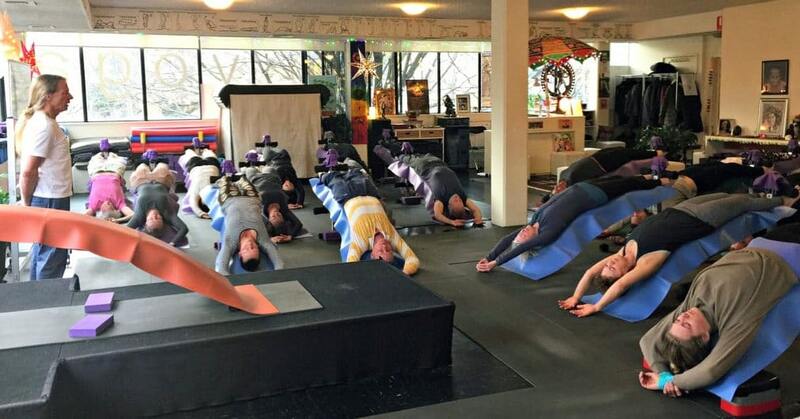 There is a great yoga lineage running through the studio at Yogareal. 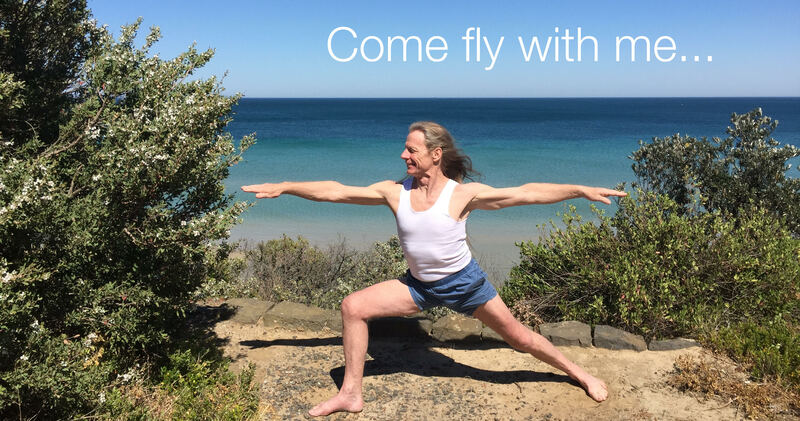 I wouldn’t hesitate to say that if you would like to try some good yoga in Melbourne this is the first place I would start, they will have you covered as far……… as you want to go. I work in a highly stressful industry and like most people these days, life throws you many challenges. The approach taught at Yogareal helps me deal with the ups and downs of today’s life, and after every session I walk out feeling calmer, lighter and more positive, which quite frankly I would not have believed possible just a few short years ago. I am breathing and sleeping better than ever, physically I can do things that I thought were a distant memory and more than anything, I feel more equipped to face life’s challenges with calm and grace….and I now remember to see all the beauty that it has to offer. I thoroughly recommend giving the approach taught by Rob and Theresa at Yogareal a try; it’s supportive, kind and non-judgemental. I cannot recommend them highly enough. I’ve been fortunate enough to have been a student here on and off for the last six years. Even though I can’t make it as often as I like, I’m always greeted with a warm smile and an awakening class. Rob is a fantastic teacher and supported by a wonderful team. From the foundational base of breathing techniques, Robert expands our awareness. He discusses topics such as our minds, posture, and energy. Classes include beginner classes, ABC –alignment, breathing and consciousness, Raj yoga. No matter which class you attend all abilities are catered for so it is accessible to all. Scattered throughout the year there are also focus workshops. Personally I have benefitted in all aspects of my life. My mind is quieter and I understand it more. My energy has increased and lightened. I see situations with more clarity and space. I am more content. I wish this for everyone. When I fist attended my yogareal class I immediately felt the energy and consciousness of the studio and the teaching to be of a very high quality regarding the principles of yoga. Practicing Raj Yoga the eight fold path, is possible at Yogareal if one wants to do that, with the lineage of Nityananda and Muktananda and Robs background and knowledge. But even if you don’t want to do this it’s a fun and happy place, and always welcoming. I miss going there a lot, and to be around people who are of a spiritual nature. I was an unwell child growing up in the ‘70’s and after no success from doctors in finding the cause of my ailment and out of sheer desperation my mother took me to a naturopath over 40 km away in Croydon. Frowned upon by many ignorant people back then, this man changed my life and helped me to overcome my “malfunctioning parathyroid glands.” He also introduced my mother to yoga. Even though I never attended the classes I watched my mother practise her breathing daily. As I grew into my teenage years, I knew I had to find yoga. I tried it once, at the local swimming pool but uninspired by the class, I did not return. Life took over, I completed my physiotherapy degree and moved to the U.K. After a music festival in Hamburg one weekend and waiting for the train, a couple of my friends practised some salutes to the sun on the platform. I tried to join in but not very well. Upon returning to Melbourne nine years later, I attended some Bikram yoga classes and promptly managed to injure my hip. My ego got in the way that day as I tried to push my body well beyond its capable limits. I didn’t see it at the time, but I know it now. It’s fair to say, I wasn’t a fan of this style of yoga. Some years later I’m in my early 40’s and it’s World Yoga Day. On TV I watch hundreds of people practising their down face dog and am confused by the fact that I still hadn’t found yoga. I knew that I was missing something but I didn’t know what. At the start of the following year I resolve to find yoga and thanks to modern technology, Yogareal pops up on my search one morning in early January. I commit myself to the eight week term on the spot. That was five years ago. How life changing this has been!!!!! Rob’s erudite knowledge of yoga is profound. His intimate and exquisite understanding of the structure and function of the human body knows no bounds. As a musculoskeletal physiothera-pist for over 25 years, my appreciation for this is enormous! Through my practise at Yogareal I am evolving into a more rounded, calm and happy human being. In my work I feel privileged as I too am a teacher to my patients and for those patients who are receptive, I have been able to continue my learning as I attempt to impart some of the positive and uplifting lessons that I have gleaned from Rob, Theresa and all of the other wonderful teachers at Yogareal. If you want to improve your physical, mental and spiritual well-being and at the same time achieve calmness through quiet, consistent breathing then look no further. Yogareal is the yoga I was searching for all those years ago! At Yogareal yoga is taught holistically which means that it is taught both as a very well-instructed physical asana practice and as a philosophy of being available to life. I have been attending Rob’s classes for more than 15 years and can attest that they are truly life-enhancing and stay with you even when you’re not in class. A happy and healthy life! What should I wear and bring to the class? • Also, arrive at least 10 minutes before class, so you have enough time to meet your teacher and settle in. • Avoid eating a large meal within 2 hours prior to class. But if you’re hungry have a light snack, like a piece of fruit. You can practise as often as you like, but you will already see great benefits from practising 2-3 per week. I'm new to yoga, which class should I start? We recommend you start by attending any of our Beginners Courses. I’m pregnant or just had a baby, when can I practise yoga? Ensure you have your doctor’s approval before joining us. Mon-Thurs 7pm and Sat 10:30am are the best times when we can support women through their pregnancy. While enjoying the uplifting class dynamic, you’ll have the support of one of the teachers working specifically with you in the class, offering appropriate alternatives to postures as required, for whatever stage you are in your pregnancy. All of our regular students who have become mums over the years, have loved working in this way during their pregnancy. Partners are welcome to come along for a stretch too! Practising together as a couple creates a great foundation for family life. After giving birth, return to the studio when you’re ready, to re-energise and nurture yourself, be strong and grounded, and cruise into your new role in parenthood. Call Theresa on 0419 504 831 to make arrangements. I had an injury in the past, can I still practise? Yes, in all classes our teachers have the ability to suggest variations to suit your abilities. Remember to speak to the teacher about your injuries and check with your doctor before joining. Yoga is suitable for everyone at all fitness levels. Before a person undertakes yoga in it’s complete presentation, all factors of ones life are mixed up together. Because of this a person then wonders why they are continually ‘dropping the ball’. Yogareal will enable you to juggle all aspects of your life. You will feel uplifted, balanced and complete. You’ll have enough fire to undertake transformation on all levels – physical, psychological and spiritual. Your body will feel vital, strong and grounded. Your breath will become long and symmetrical. Your mind will become quiet, relaxed and sharp. You’ll feel the best you’ve ever felt. Over the past 40 years Robert has developed a unique and transformative style of yoga unlike anything or anyone else’s. This cuts right to the chase while maintaining lightheartedness. Simple, clear, fun and practical. You’ll go into areas in yourself where you’ve never been before and that need addressing for you to be where you’d like to be in yourself and in your life. This will take you to a position of I AM or a sense of Self-presence in yourself. This is the ultimate goal of all practices – Self-realisation or realising Self relative to everything else that you do in your life. Come and experience this for yourself!